Marks Pest Control gives best Pest Control services all across Sydney. 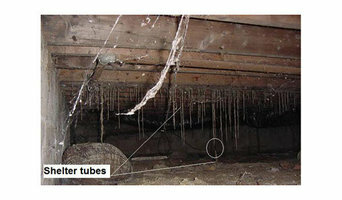 It is the best platform for your concerns related to pest removal treatments. We are giving our customers services such as Pest Control Sydney,Rodent Pest Control and more. We have the advanced methods and best modes to eliminate all kinds of pest professionally. We can surmise the necessities of our clients. Accordingly, we are providing emergency pest control services. Our pest controllers are well-qualified and experienced in pest control. We provide our services in both business or household areas. We also give the same day of services. You can call us now on+61 414 354 432 for the best solutions. ABC Pest Control is top-rated Sydney pest control service that operates throughout the metropolitan of Sydney Australia. We eradicate and remove any pest under the sun. Termites, Bees, Bed Bugs, Cockroaches, Lice, Birds, Fleas, Ticks, Wasps, Moths, Pantry Moths, Mice, Rodents, Rats, Ants, Bird Lice, Silverfish, Wasps, Mosquitos, Moths and end of lease work. We hope to hear from you soon. Sydney Side Pest Control Is located in Hurstville we provide pest control services and termite control and prevention to the local area as well as servicing all of the sydney region, central coast & wollongong. starting from humble beginnings like most small businesses we have grown into commercial pest control, pre con struction termite management. we use only Safe and Effective General Pest & Termite Treatments. and provide genuine after sales service. Every day is a new challenge but solid work ethic working hard for all families in our local communities. To rid your home or business of pest infestations and protect it from future pest problems, contact the Marks Pest Control in Darlington. We offer high-quality services at affordable prices within Darlington and around, as well as emergency treatments or guaranteed full procedures, depending on your particular requirements. We make every effort to provide our customers with efficient and convenient pest services in the Darlington area and near it as fast as possible. We have flexible working hours and done our job without disturbing your routine. Professional Pest Control Darlington exterminators are located close to you and have all needed utensils, insecticides and pesticides to deal with every type of vermin. Marks Pest Control offers efficient, discreet and emergency pest control services in Bondi for commercial properties, business and homes. We treat all infestations instantly because pests can transmit infection, contaminate food and water supplies, cause harm to your possessions and increase the maintenance bills. Marks Pest Control in Bondi has local and experienced pest controllers deal with a wide range of common pests, including rats, wasps, birds, and bed bugs. Our members cover the whole of the Bondi and can advise and deal with any pest problem you might have. By choosing Pest Control Bondi, you can be assured that the services you receive are from a trained, insured and trusted company that meets your requirements. Marks Pest Control Liverpool is specialists in pest control solutions. We have been providing our services to commercial and domestic clientele in Liverpool from many years, as well as also providing our services to Liverpool and surrounding areas. We make every effort to provide our customers with efficient and convenient pest services in Liverpool area and near it as fast as possible. Professional Tick Control Liverpool staff is located close to you and have all required equipment, insecticides and pesticides to deal with every type of vermin. Leading Pest Control offers the cheapest and best residential pest control and commercial pest control services across Australia. 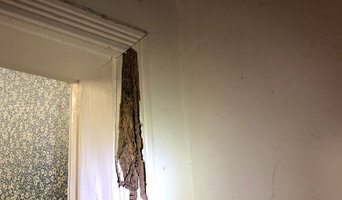 We offer termite treatments, termite treatments inspection. We have the expertise to think outside the box and create what works for each distinct pest control customer. Cleanbusters Pest Exterminator is a Sydney pest control company having more than 500 clients nationwide. We never compromise with quality in any cost. Also, we do have environmental awareness and respect for your value for money. Hiring us is the best alternative to eliminate the pest problem from your home. Do not attempt to remove a pest problem by your own. Often it create some more hazardous issues, which will be risky for both life and property. Dealing with pest problems? Marks Pest Control will provide you dependable services such as Ant Control Sydney, Bed Bug Control Sydney, Bee Control Sydney, Cockroach control Sydney, Emergency Pest control Sydney, Extermination Services Sydney, Flea Control Sydney, Fly Pest control Sydney, Mosquito Pest control Sydney, Moth Pest control Sydney, Rat Control Sydney, Residential Pest Control Sydney, Silverfish Control Sydney, Spiders Control Sydney, Tick Control Sydney, Wasp Pest Control Sydney. 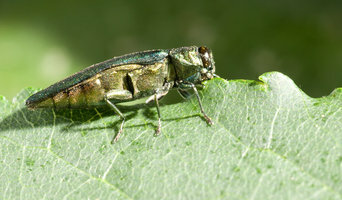 Our pest controllers are trained in handling pests. Our service costs are also reasonable and affordable. We have been providing the best pest control services for many years without using harmful chemicals. Reach us online now or call on the number 0414 530 372 today. Stop That Pest Control Company is committed to bringing to you the most effective pest management service to ward off the pests that threaten your home throughout the year. The pest problem that exists might be specific as per the season. That why we bring to you professional pest control service and inspection treatment by pest control specialists in Sydney who have hands-on experience and expertise to eliminate pests quickly and safely. We have professional pest management team and termite specialists who offer tailor-made solutions for home as well as commercial structures to fit the countless needs of their esteemed customer’s facility. All Treatments are a 100% Safe on Family, Pets & Plants. Safe, Affordable, Prompt, Reliable & Stress Free Pest Control. Pests are a huge problem and are very difficult to manage and eradicate without professional help. They can also cause great hygiene issues which can result in health risks. 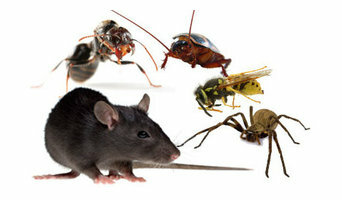 We can offer fast, effective, pet and family safe solutions to help protect your home against these unwanted pests. No nasty odors or dangerous solvents. Our focus is a service that is tailored to individuals needs. Our technicians are experienced and skilled experts. We believe in customer satisfaction and do our work with full dedication. We don't just remove your pests, we provide all measures that no pest can further harm your home or business. We provide one-off treatments, emergency response, comprehensive regular service and multi-site service agreements. We always give free advice to prevent re-infestation. Blitz Pest Management provides a complete pest solution service. Based in Neutral Bay and servicing the Sydney metropolitan area. We are fully licensed and insured. Our aim is to understand our customer’s needs and implement the right service at the right price for your circumstance. We use both Bio and non-repellent products that achieve fantastic results. Pro Pest Control Sydney is a trusted pest control service company in Sydney Australia. 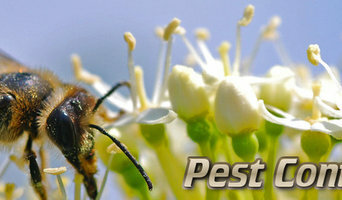 Armed with professional pest controllers that serve residential homes and commercial properties. For over ten years of pest controlling services, Pro Pest Control Sydney is true to its commitment to delivering outstanding services by providing a fully licensed and highly qualified pest inspectors. Services includes: ** Residential controllers against pests ** Pest control for large properties ** Professional inspections of all kinds of building ** Provides the best solution to termites infestation ** Provides best fumigation treatment There many reasons why you have to choose Pro Pest Control Sydney Armed with well-trained and fully licensed Pest Exterminators Fully Equipped Mobile Services Provides all kinds of pest treatments Respectful and Friendly Nature Guaranteed satisfaction at low cost Speedy Quotes Servicing in a wider scope Experience a happy life and not be ruined by pests around, call the service of Pro Pest Control Sydney @ 02 8188 3977. What type of pest control methods can be used? Pests can be removed in a variety of ways, depending on the type and severity of the infestation. Professionals in Croydon, New South Wales may use baits, some of which have a lethal effect and spread to the entire population, or dust, which can get into hard-to-reach places where pests breed. Other alternatives are liquid insecticide sprays and gels. Safety and effectiveness of advised methods are usually discussed during the initial pest inspection. Are the pest and termite treatment methods used toxic? What will I need to do post treatment? What happens if the infestation returns? Find pest control services in Croydon, New South Wales on Houzz. Scroll through this page to find an exterminator, fumigator or termite treatment expert in your area. You can read reviews to see how other homeowners rate their work, and contact businesses directly.